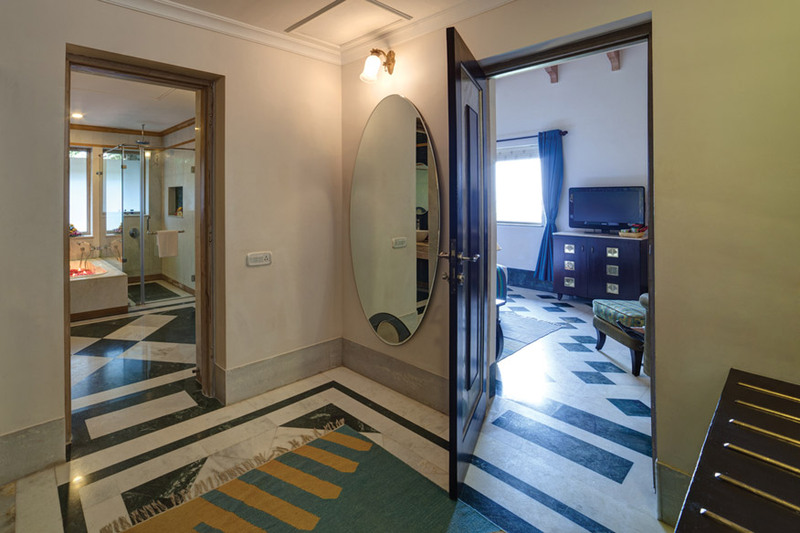 At Ramada Udaipur Resort and Spa, each suite has been designed and conceptualised on the peacock theme and offers panoramic views of the spa resort. Opulently designed in 680 sq. ft, the suite comes with an exquisite living room, spacious bedroom, walk in wardrobe, work desk, well stocked bar, king size bathroom with bath tub and a private sit out. Located in a villa-like structure, the suite has easy access to the resort facilities while providing privacy and a sense of serenity.